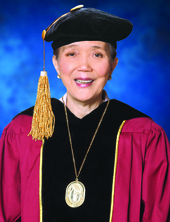 The University of Perpetual Help has been providing quality education for the past 45 years by continuously enhancing its academic programs as it paves the journey of tomorrow’s leaders. Students are surrounded by an environment that encourages proficiency in their chosen fields. 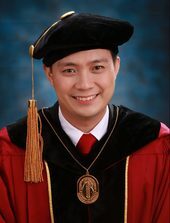 As a result, the University boasts of board topnotchers and graduates who excel in their chosen careers. As proof of Perpetual Help’s investments on standardizing and internationalizing its curricula, the University has received several awards from the Philippine Association of Colleges and Universities Commission on Accreditation (PACUCOA) in recognition of its excellence in education. From justices to admirals, our faculty is a diverse group of educators, professors, industry professionals, and prominent personalities in the country. They are not just teachers but also mentors and consultants who nurture students to develop their full potential. The University continually updates its modern facilities and equipment to prepare students with the required skills for evolving industry needs. The University has established local and international linkages with prestigious institutions to further enhance the skills, competencies, and professional network of our globally competitive students to help them jumpstart their careers here and abroad. Our campuses in Las Piñas, Molino, and Calamba are strategically located along major thoroughfares in their respective cities which makes them accessible to all types of transportation and convenient for students, parents, and faculty. The Perpetual community offers plenty of experiences beyond what take place solely in a classroom. Students can choose from a number of school organizations that address a varied range of interests. Whether it’s getting involved with the Students Council, performing with the Perpetual Street Dance, or playing basketball with the Perpetual Altas, campus life at Perpetual Help has something for everyone. 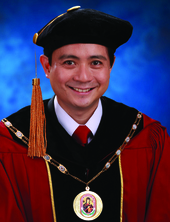 Karl Emmanuel C. Mercader, M.D. 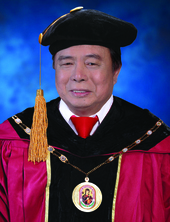 Brex Romeo P. Quijada Jr.